Oh My! It's been a month since I last wrote, summer days keep you busy. I never meant to have a break from blogging but I think it has done me well. Now I am more inspired again and I think it is time for some changes on the blog, but today it is time to go to a wedding (love going to weddings!). So I will sit down with my blog another day, but soon I hope! 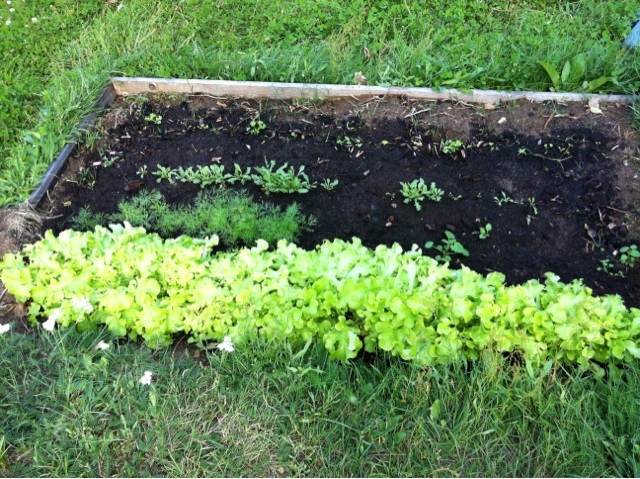 Here you have a pic of my garden project. 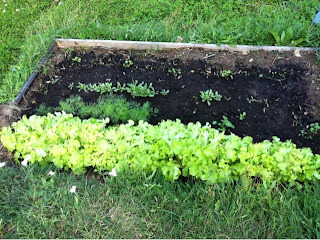 Since we moved back to Finland late June I was limited in what I could plant but salad and some herbs did relatively well. Next year I hope to plant some more.